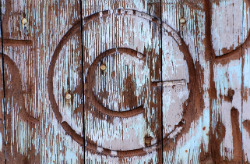 The copyright monopoly is a limitation of property rights. Can you please link to the original article from which this quote is taken? Nevertheless, this is an important point to make. Falkvinge always delivers. How are Artists supposed to turn a profit if they cannot build on work that has been made? How are Artists supposed to turn a profit if they cannot build on existing work that has already been made? Copyright forces everyone (everyone who is poor) to create the same damn material that has already been made, which means it is Even-Harder-To-Profit. This idea that ‘copyright helps artists profit’ is moot if it is simultaneously raising the cost of their expression GREATLY. “We are giving people hope – for they see that they need no longer sit down and accept things as they are. We are showing people that they have the power in their own hands to change things. 250 million Europeans who share culture with the world are not a problem; they are a power base of 250 million voters. If they are being painted as a problem, we are showing that they can and should vote the real problem – the old politicians – out of a job. “And perhaps most importantly, we are giving people respect. There is nothing shameful about the connected lifestyle that the net generation lives by, and if the old politicians feel threatened by it and the transparency it demands, people do not need to accept the bad attitude from these politicians. The net generation has every right to demand respect for themselves as citizens, even if it means that the old politicians lose control. That’s part of our gift to the world – of what we share with the world.